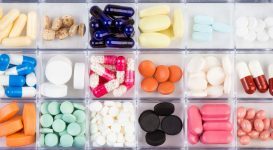 How Common is Migraine Medication Overuse? For those who suffer from chronic migraines, the most natural course of action when you feel the deep pain setting in is to pop a pill. Two over-the-counter pills and a gulp of water, then voila, the pain is gone. 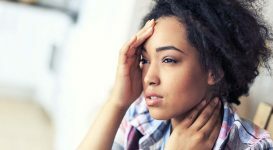 Though this method is often just what the doctor ordered without requiring a doctor to order it, those suffering may be in fact feeding a vicious cycle of chronic pain. 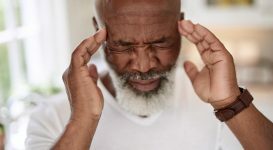 Medication overuse headaches (MOH) — also known as rebound headaches, drug-induced headache and medication misuse headaches — occur when people suffering from migraines, cluster headaches or tension headaches overuse pain medication. The frequent and extended use of the medication can ultimately cause severe headaches that are more painful than the headaches they are designed to treat, which often cause the user to take more pain relieving medication than recommended. MOH is considered the third most prevalent type of headache. The potential side effects are potentially serious as it could result in more intense pain, drug addiction, and significant bodily harm due to overuse. 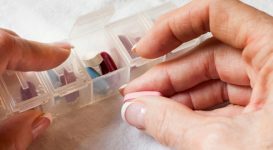 According to the American Migraine Foundation (AMF), MOH can occur when a person uses more medication than the prescribed amount or when a person has headaches more than 15 days per month (or two – three days per week) for more than three months. According to The International Classification of Headache Disorders from the International Headache Society (IGS), overuse of symptomatic anti-migraine drugs and/or analgesics is the most common cause of migraine-like headaches occurring on more than 15 days per month. Diagnosis of MOH is clinically extremely important because patients tend not to respond to preventative medications while overusing acute medications. Is This the Cause of My Migraines? Other signs and symptoms may include: nausea, anxiety, restlessness and difficulty concentrating, memory problems, irritability and depression. The Mayo Clinic recommends consulting a doctor if you have two or more headaches a week, take a pain reliever for your headaches more than twice a week, need more than the recommended dose of over-the-counter pain remedies to relieve your headaches, your headache pattern changes, or if your headaches get worse over time. Differentiating between tension headaches and MOH can be difficult as they share many of the same symptoms. 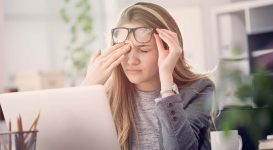 When it comes to migraines, one key difference is that unlike migraines, physical activity tends not to make MOH worse. The number of treatment days per month and the type of medication determines whether a drug is considered being “overused.” Those suffering from headaches, especially migraines, have a tendency to develop MOH even if analgesics are being used to address other medical conditions. What Medications Can Do This? Simple analgesics: common medications such as aspirin, acetaminophen, NSAIDS (ibuprofen, others) may contribute to rebound headaches especially when the patient exceeds the recommended daily dosages. 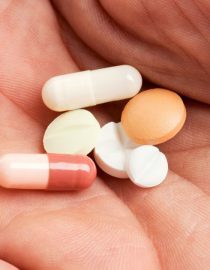 These medications cause rebound headaches when used for more than 15 days in a month. Combination pain relievers: over-the-counter pain relievers that contain a combination of caffeine, aspirin and acetaminophen or butalbitol commonly cause medication overuse headache as well. All of these medications are high risk for the development of medication-overuse headache if taken for more than 10 days in a month.